The mechanical engineering curriculum in most universities includes at least one elective course on the subject of reciprocating piston engines. The majority of these courses today emphasize the application of thermodynamics to engine ef?ciency, performance, combustion, and emissions. There are several very good textbooks that support education in these aspects of engine development. However, in most companies engaged in engine development there are far more engineers working in the areas of design and mechanical development. University studies should include opportunities that prepare engineers desiring to work in these aspects of engine development as well. My colleagues and I have undertaken the development of a series of graduate courses in engine design and mechanical development. In doing so it becomes quickly apparent that no suitable te- book exists in support of such courses. 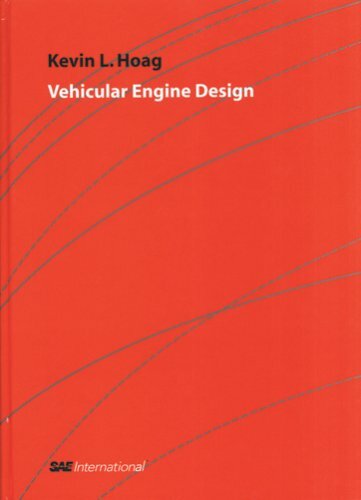 This book was written in the hopes of beginning to address the need for an engineering-based introductory text in engine design and mechanical development. It is of necessity an overview. Its focus is limited to reciprocating-piston internal-combustion engines – both diesel and spa- ignition engines. Emphasis is speci?cally on automobile engines, although much of the discussion applies to larger and smaller engines as well. 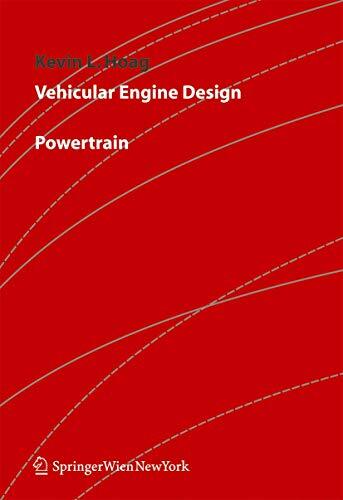 A further intent of this book is to provide a concise reference volume on engine design and mechanical development processes for engineers serving the engine industry. It is intended to provide basic information and most of the chapters include recent references to guide more in-depth study. This book provides an introduction to the design and mechanical development of reciprocating piston engines for vehicular applications. Beginning from the determination of required displacement, coverage moves into engine configuration and architecture. Critical layout dimensions and design trade-offs are then presented. Coverage continues with material and casting process selection for the cylinder block and heads. Each major engine component and sub-system is then taken up in turn.